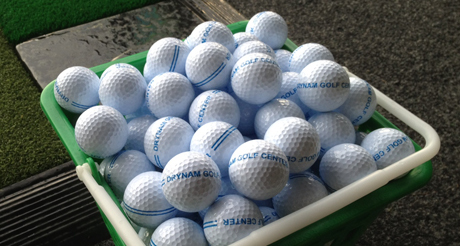 At Drynam Park Golf Centre we use only the best golf balls for our driving range. 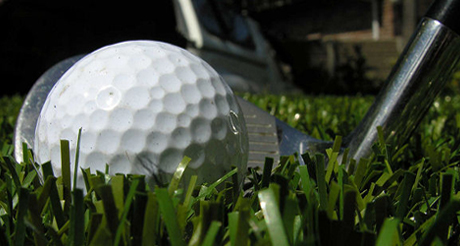 The average range uses a softer golf ball (1 piece). We use Titleist golf balls (2 piece). After all your practice experience should be as close as possible to the real thing. It can be difficult to see the result of your swing late in the evenings and during those short winter days. 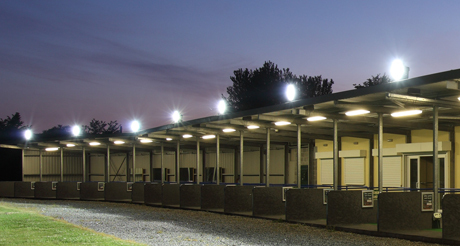 At Drynam Park Golf Centre that is not a problem, we use extensive lighting to make sure every shot you take is very well illuminated. Simply pour the balls into the hopper and your first ball will be delivered onto the tee. Simply set the tee height using the lower button and off you go. 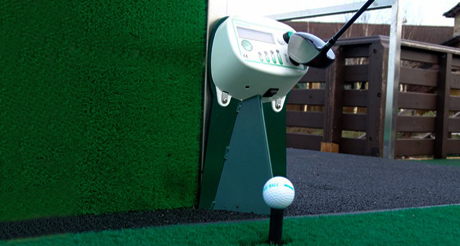 Each time you strike the ball a new one will automatically be placed on the tee. We use 2 inch grass mats that provide you with an experience which is as close as you can get to real thing. Fine Food, excellent tea & coffee. Hot breakfasts & hot lunches. 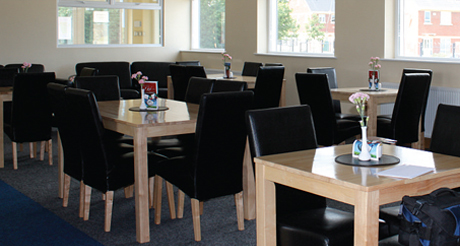 Homemade scones, cakes, soups & breads Sandwiches, wraps, bagels, paninis & salads. Healthy low fat menu available. Toddler play area with TV. Take away service Phone in order service.